Defense wins championships, sure. But more so than that: Being able to win in multiple ways wins championships. That's a lesson of this NBA postseason. If you follow the narrative that defense wins championships, you can find repudiation — but then validation — in the story of the Golden State Warriors. With their barrage of three-pointers and generally fun, free-flowing offense, the Warriors emerged to win the NBA title in 2014-15. They ranked No. 2 in offensive rating (points per 100 possessions) in both the regular season and playoffs that season, and they did it in a manner that seemed to turn the notion of “you can’t win that way in the playoffs” on its head. It was more of the same in 2015-16, when Golden State won 73 regular-season games and only the greatness of LeBron James and an improbable 3-1 finals comeback cut the Warriors short. Last year they won their second title with the best regular-season offense and second-best playoff offense. 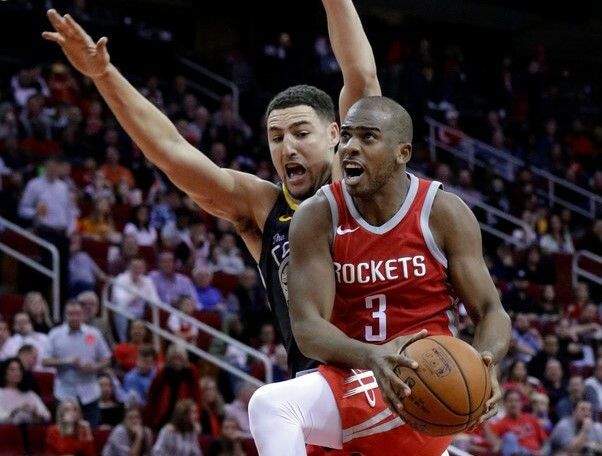 This year, Houston took its three-point shooting to a new extreme — attempting more threes than twos during the regular season. They shot their way to 65 wins and the No. 1 seed in the West. The Rockets finished just 0.1 points behind Golden State in offensive efficiency, with both teams finishing 1-2 in that race in the regular season. And now these offensive juggernauts will meet in the conference finals starting Monday, with the winner advancing to the finals as the overwhelming favorite to win this year’s NBA title. Here’s the dirty secret: Both teams also play exceptional defense. They were both in the top 10 in defensive rating during the regular season (Houston was No. 6, Golden State was No. 9), and they rank 1-2 in defensive rating in the playoffs. That’s nothing new for the Warriors. In the years they won NBA titles, they ranked No. 1 and No. 2 in playoff defense and regular-season defense, respectively. The year they lost to Cleveland, they dropped to No. 7 in playoff defense. Houston’s offense was already great (No. 2) last year. It was the jump made by the defense (from No. 18 to No. 6) in the regular season that accounted for its rise in the West. I would say that in the case of both teams, their offense feeds their defense. They put a lot of pressure on other teams to score. That pressure leads to bad decisions and bad decisions lead to bad offense. But I would also say both teams are genuinely good defensively. A lot of the same players on both teams who are good long-distance shooters are also long-armed wing players who seamlessly switch and help on the perimeter. Clint Capela is a wonderful rim protector for Houston, while the Warriors led the league in blocked shots with a team effort. This is, of course, what every team should aspire to be. But sometimes teams settle, fall short or become trapped in their own established identities. The Timberwolves’ path to improvement from 31 wins (two years ago) to 47 wins this past season to the next 8-10 game jump that would make them true contenders is simple: Find a defense (No. 22 in rating last year) to match the offense (No. 4 in rating last year). If players look at Houston and Golden State and think they can just win with offense … they need to think again. Get yourself a team that can do both. The same lesson applies to the Vikings. My greatest fear for the Vikings heading into the offseason was head coach Mike Zimmer’s overwhelming belief in his defense — and that it might preclude Minnesota from truly investing in a difference-making quarterback. Those fears were assuaged when Minnesota signed Kirk Cousins, giving the offense the best chance to repeat what it did last season when the Vikings went 13-3: Be not just good enough to score 20 points, but be good enough to win games when the defense isn’t dominant. Minnesota finished 10th in points, 11th in passing yards, 7th in rushing yards and 11th in expected points contributed by the offense in 2017. That’s not elite, but it’s quite good — and an upgrade from the bottom-half showing in 2016 and the middle-of-the-pack effort in 2015. Defense wins championships, sure. But more so than that: Being able to win in multiple ways wins championships. Golden State has proved that already, and either the Warriors or Rockets will likely prove that again this year. We’ll see if the Timberwolves and Vikings can eventually follow their lead.